During the 2018 Super Bowl halftime show, earlier this year occurred a life-changing event. Justin Timberlake came out on stage wearing what would later become one of the most unforgettable Air Jordan 3’s to ever release. That night, the never-before-seen sneakers released on SNKRS app and instantly sold out. The shoe was later revealed to be the work of Tinker Hatfield’s original Air Jordan 3 design in collaboration with Justin Timberlake. The shoe appeared in pop-up shops during the ‘Man of the Woods” tour, and other colorways were on display. One of them being the Bio Beige that we’re growing to love. 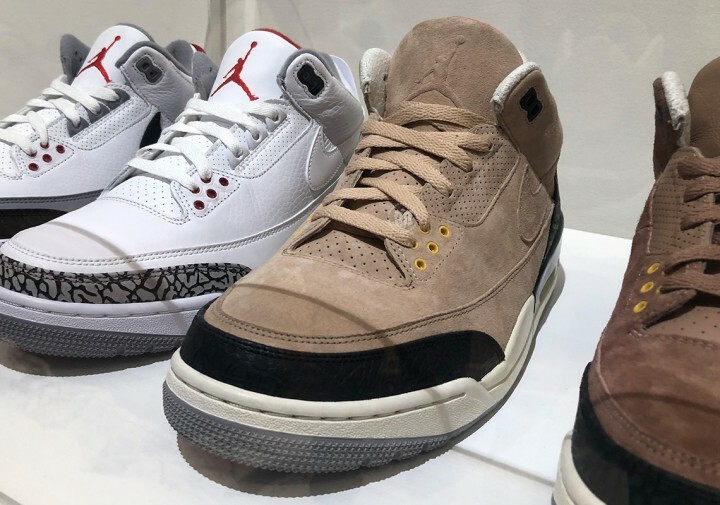 Since its first appearance in the pop-ups, there are rumors that the Air Jordan 3 Bio Beige will drop. The shoe features a premium suede upper, with a pop of color in the yellow eyelets and orange insoles, matching neutral toned Swoosh, and black cement detailing. And of course we can’t forget the adored Nike Air branding on the heel tab. *RELEASE DATE UPDATE*: The @Jumpman23 x @jtimberlake Air Jordan 3 Retro JTH NRG has a new release date. The Bio Beige pair will now be dropping on August 28th. If you want a chance to cop the original Super Bowl white pair of the Justin Timberlake x Air Jordan 3, you can now find it online for much less than when it first dropped. People were selling it for ten times the retail price ($200). Now you can find it for at least double the cost, which is arguably cheap. Meanwhile, the lowest ask on the Bio Beige pair is $500. The release information for this drop is both confusing and conflicting. We’ve heard two different releases dates for the sneaker. One claims that the JTH Air Jordan 3 Bio Beige will release on July 9, while the other says the new release date is August 28th. In addition, we cannot find any early links, leaks, or hints that the shoe will drop next week. It’s more likely that the Air Jordan 3 JTH Bio Beige will drop on August 28, however, keep your post notifications on and prepare for all kinds of surprises.